BAM's underwriting activities are limited to guaranteeing bonds of fixed rate, fully amortizing debt. Its insurance is extended only to U.S. essential public purpose, municipal bonds. BAM is NLC's preferred provider of financial guaranty insurance on debt for its member municipalities. NLC is pleased to endorse BAM because BAM is uniquely situated to provide cities and towns not only access to municipal bond insurance that will facilitate their financing and reduce their costs, but also the unique benefits of membership in a mutual insurance company, which includes voting rights and the receipt of future dividends when declared by BAM's Board of Directors. 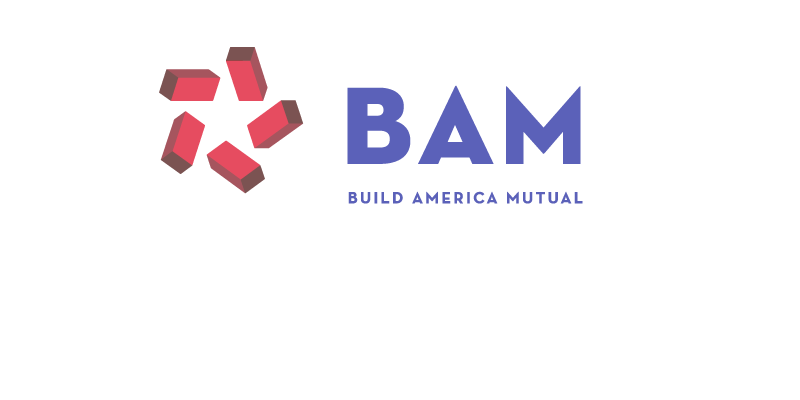 What are the Benefits of BAM for Municipal Members? Lower cost of financing of public debt. A portion of a municipality's payment to BAM is treated as its Member Surplus Contribution. The surplus contribution can be reused if the bonds are refinanced, saving approximately 50 percent over traditional insurance methods. Only the risk premium needs to be renewed. Dividends will be paid to municipalities after BAM has reached full and efficient operations, subject to Board regulatory approval, further reducing the cost of the insurance, in the long run. The option to pay only a 10-year risk premium up front at closing and annual premiums after 10 years if bonds are not refunded. Transparent reporting meeting disclosure rules for secondary market transactions through a publicly available summary of the finance and economic status for each member. Headquartered and licensed in New York under Articles 41 (Domestic Mutual Companies) and 69 (Financial Guaranty Insurance Corporations), Build America Mutual Assurance Company is a mutual bond insurer of public purpose U.S. municipal bonds, exclusively. As a mutual, BAM is 100 percent owned by its policyholders - the municipalities using BAM's insurance to lower their borrowing costs. BAM is rated AA/Stable by Standard and Poor's and is regulated by the New York State Department of Financial Services.